The Lunar New Year is the most significant event on the Asian calendar. While it’s most famously celebrated in China, festivities also take place across East and South East Asians countries such as Thailand, Malaysia, Vietnam, Korea, Taiwan and Japan. With so many different Asian communities at home here in Australia, Lunar New Year celebrations are getting bigger every year. While each community has its own unique take on the event, common to all is the gathering of friends and family for a traditional feast. At Wine Selectors, we are constantly searching for the perfect union and harmony between wine and food dishes. We’ve selected 6 wines that are the perfect match to Lunar New Year celebrations this year that celebrate the fusion of food, wine, and culture. In China, traditional reunion dinners or ‘Nian Ye Fan’ are celebrated by families on New Year's Eve. They focus around ‘dishes with a meaning’, symbolic usherings for the year ahead, such as luck, prosperity, and good health. In Mandarin, the word for Fish 鱼 (Yú /yoo), sounds like ‘surplus’ and so fish has become synonymous with prosperity and should be intentionally left unfinished during the reunion dinner to enhance this sense of excess and abundance. The Lisa McGuigan Pinot Gris 2015 is the perfect accompaniment to fish dishes due to the tropical fruit flavours and bright acidity, which perfectly complement fresh fish. Matched Recipe: Sauteed Fish with Celery. In the Year of the Rooster, gold and yellow are thought to be lucky colours and also they tie in perfectly with a fine Hunter Valley Chardonnay. The creamy mouthfeel and mid-weight concentration of this wine are a great match for spicy dishes. The savoury, nutty stonefruit flavours in this wine offer fantastic support to dishes with the characteristic sweetness of palm sugar. In Chinese culture, the dragonfly is associated with prosperity and peace and it’s used as a good luck charm. While we can’t promise you that enjoying the Dragonfly Chenin Blanc from Willow Bridge Estate will bring you good luck, we can promise it’s a delicious match with tofu stir-fry. Its bright and zesty citrus elements complement the understated, creamy flavours in the tofu, while the wheat notes form the udon and the light heat from the chilli are subtly balanced the wine’s weight and texture. It’s not just white wines that make great partners to traditional Asian flavours. At Wine Selectors, we’ve found that the light bodied, dark cherry fruits of Pinot Noir work perfectly with delicate dumpling or noodle dishes. The soft velvety plum flavours of a fine Hunter Valley Shiraz match with the sweetness and warmth of many traditional Chinese dishes. While the ripe, soft fruit and tannins of a fine Grenache match perfectly with the refined spice of an East Asian Curry. This classic Pinot Noir from the north of Tasmania with its soft savoury flavours and a low tannin profile is the perfect accompaniment to traditional Luna New Year ‘lucky dumplings’( 饺子 Jiǎozi) or a sweet pork belly dish. This 2015 vintage is a particularly good choice as the number 5 is a lucky number in the year of the Rooster. The complex mix of flavours, texture, and spice in an East Asian curry require a wine that matches its flavour weight, but has a soft mouthfeel and subtle texture. This Old World style Grenache is the perfect fit; it has a soft red cherry intensity delivered with a silky, soft and elegant mouthfeel. Delicious! Synergy and harmony are vital during New Year Celebrations, perfectly embodied in this spectacular Shiraz combining select barrels from old vine vineyards. Earthy and rich, yet soft and savoury characters make this Hunter Valley classic from one of the best Hunter vintages in living memory a great match for the weight and depth of flavours in a refined curry dish. The nutty, complex mix of spice and coconut milk in a curry are lifted beautifully by the medium weight dark berry fruit, allspice and cedary elements of this wine. To celebrate the Year of the Rooster, Wine Selectors has partnered with Asian Inspirations to hand select six Australian wines that perfectly enhance the authentic Asian flavours of the spectacular recipes in the included recipe booklet. 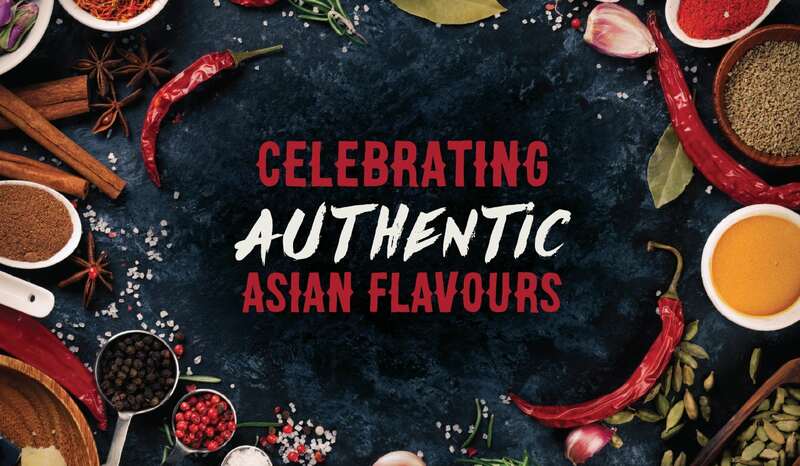 From chicken to pork, fish and beef, and noodles to chilli, curry and soy, the rich flavours of Asian cuisine are on show, providing a plethora of delicious dishes to enjoy. Discover the delicious fusion of food, wine and culture - order now! What grows together, goes together Wunderbar lamb and Mitchell Family wines. The Clare Valley is one of Australia’s most underrated wine regions, which is hard to fathom given it produces some of the finest Rieslings and intensely concentrated red wines in the country. No doubt, the pull of the Barossa has a lot to do with the underestimation of the Clare, but, if you can resist the urge to turn right at Gawler and stay on the A32, you’re in for a treat. In addition to its wine cred, Clare is uniquely beautiful. The open landscape is a sea of wheat fields sprinkled with eucalypts and stone cottages beneath powder blue skies. Heinrich’s Wunderbar You’ll also notice a few sheep along the way, as Clare, like much of Australia, was Merino country. But around 1959 when wool exports declined, families left in droves. One of the few that stuck with it were the Heinrichs of Black Springs and fifth generation Ben, along with his wife, Kerry and five children, continues to farm sheep on the family’s original 810ha property just east of Clare. But while the sheds, tractors, machinery and utes all make this look like a stock standard farm, one look at the sheep and you realise Ben does things a bit differently to his ancestors. Practically bald and with long tails, Ben’s sheep are a breed that sheds its wool, chosen as part of his humane, minimal intervention philosophy. This is underpinned by his adherence to the Humane Choice farming principles of which he is the only certified producer in Australia. “With no wool, we can give our sheep a better life, as there’s no mulesing, tail docking, crutching or shearing,” Ben explains. “My sheep are truly free range, paddock raised, no feed lots and we try to minimise human interaction with them as much as possible.” When it comes to conventional industries, sheep farming is close to the top. The practices are well entrenched over generations and traditions are not easy to break, especially when there are mouths to feed. So why undertake such a radical change? For Ben, it was the knowledge that the ways of the past were not going to work. “Dad was running a self-replacing Merino flock and it wasn’t going so well,” Ben recalls. “Personally, I wasn’t cut out for it, I couldn’t see myself shearing, and Dad saw the writing on the wall. It was either going to be sheep with no wool, or no sheep at all!” So Ben, backed by his dad, started Wunderbar. They’ve since gone from strength to strength, now selling directly to butchers and chefs around the district and into Adelaide. Fans of their meat remark on how tender, flavoursome and lean it is, while chefs love to cook with it. High praise indeed. A Delicious Seed Word of Ben’s lamb is spreading and one chef that sings Wundebar’s praises is Guy Parkinson, owner of Seed Winehouse +Kitchen in Clare. Guy and his partner, Candice, have run Seed since 2014 after travelling through Clare and deciding it was the place to set up shop. Seed is now a food and wine destination, drawing people from all over to sample Guy’s creative, trattoria-inspired cooking paired with Candice’s take on the Clare wine scene. The couple had been Hunter-based, where they had a significant following of loyal winemaking food lovers, and this pattern has repeated in the Clare.